Northern Ireland’s capital city is one of our most exciting and original destinations for an English course. The city is young and energetic, but surrounded by gloriously green and peaceful countryside. Against this backdrop, ESL’s local partner school IH Belfast has been an enthusiastic advocate of our drive towards sustainability. We caught up with school director Paul McMullan to find out more about the Corporate and Social Responsibility (CSR) steps that IH Belfast has been taking and about the innovative internship programmes available to ESL students who want to make a difference locally while learning English in immersion. 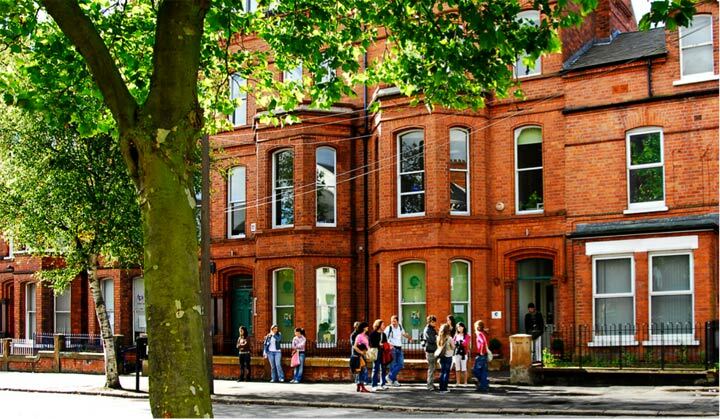 ESL: What is your approach at IH Belfast to issues of sustainable development? IH Belfast: In 2011 International House Belfast formalised its approach to Corporate and Social Responsibility and produced our CSR policy. Although we are still in the early stages of developing our Responsible Business Practices, International House Belfast is aiming to be a business which impacts positively on our people, planet and place. We want our approach to CSR to drive every decision we make. Everything from purchasing paper to how we manage our marketing materials to travel for our staff and students. CSR has to become an integral part of your decision making right from the big to the small. As a small company we are aiming to be flexible and agile enough to be able to take the opportunities offered to us in a rapidly changing business and social environment. Through high levels of engagement for all members of staff and a “round table” approach to decision making, where everyone has their say, we aim to create a positive working environment which maximises the potential of all our people. Since we opened in 2007 we have had a 90% retention rate of full time staff including staff returning from paternity and maternity leave and staff returning from sabbaticals. IH Belfast: Since 2011 all our marketing materials have been produced on FSC certified paper, we have started to print materials in destination countries rather than print them at source and transport them. We have reduced the number of printed materials that we produce and have developed a new website where materials can be downloaded in digital format. Our staff now have the opportunity to join the “Cycle to Work Scheme”, a nationwide government initiative introduced to get people travelling to work out of their cars and exercising on the way to work, producing a cleaner environment and a healthier staff. We always aim to buy locally when we can. In 2012 we had an environmental audit carried out on the language school and on our student apartments. ESL: What kind of information did the environmental audit provide? IH Belfast: The environmental audit assesses current practises and how the company can improve. It is an in depth analysis and provides recommendations on Management Commitment to CSR, Energy Use and Management, Waste Management, Water Use and management, Transport, Monitoring, Office Activities and Procurement. The report is fairly generic and could be used by most organisations. Many of the recommendations can be implemented immediately and with no cost whatsoever to the business. For example, heating costs rise by about 8% for each 1 degree of heating. By simply ensuring that you have an office temperature policy you can massively save on energy consumption (optimal office temperature is 21- 23 degrees Celsius). In addition you can save more than 15% on wasted energy just by raising awareness amongst your staff, or by simply doing a little investigation into waste contractors you can achieve recycling rates in excess of 90% on a consistent basis. We are using that report to develop our Environmental Management System and are happy to share the recommendations with other organisations. In 2013 we have started to record and monitor our energy consumption and the amount of photocopying we are doing. The key thing in any company’s approach to responsible business practises is having their staff “buy into” the idea of CSR. One of the ways we are approaching this is that we will reward staff financially for a reduction in our energy consumption and a reduction in the amount of paper we use. IH Belfast teachers have prepared CSR centred courses which we are starting to use throughout our curriculum. We are committed to sharing all our CSR findings with other organisations so we can assist them, learn from their initiatives and benchmark what we are doing against other companies in Northern Ireland and beyond. IH Belfast: For 2013 we have made a commitment to support 3 charities with a donation from each booking we receive going to the charities. We support one humanitarian charity, one environmental charity and one animal charity. Everyone has different life experiences and different charities that they feel particularly strong about so it was important for us to consult all members of staff and come to agreement on which charities to support. ESL: What was your motivation for taking the CSR steps you have? IH Belfast: Working with ESL and starting to use the self-assessment tool was the original motivation and where it all began. Once you have started though you continually want to improve your business practices with regards to CSR and that becomes your inspiration. The self-assessment tool also allows partners to share ideas and start to benchmark where they are in terms of CSR. ESL: Do you feel supported in your CSR actions by the government and official policies in Northern Ireland? IH Belfast: In some ways yes, in other ways no. For instance, the City Council are running effective campaigns on reducing the amount of food we waste and keeping the city tidy, etc. but we discovered that they only recycle paper and cardboard from the separated waste they collect. That means that no matter how carefully and diligently we separate the waste at IH Belfast, everything apart from paper and cardboard is just mixed together again and goes to landfill. We are currently looking for another collector who will guarantee a large percentage of all waste is recycled. Private business in Northern Ireland is to some extent leading the way in CSR. Business in the Community have a UK membership of around 800 companies. 250 of those members are from Northern Ireland. For a country with a population of just 1,500,000 people that is an amazingly high membership share showing the commitment that businesses in Northern Ireland have to sustainable development. ESL: You mentioned Business in the Community on ESL’s CSR forum… could you tell us a little more about their input? IH Belfast: Business in the Community have been enormously supportive towards our CSR efforts. They came to visit the school and do a presentation to all of our staff. They even organised our environmental audit free of charge. I would definitely recommend other organisations to get in touch with them. Membership can be expensive for a small school like us but there are lots of resources that they will make available to you at no cost. ESL: How has ESL’s CSR Self-assessment tool helped in your CSR planning? IH Belfast: The self-assessment tool was instrumental in getting us as a company to start thinking about our business and responsible business practices. The whole concept of CSR is a huge one and it can be daunting in the beginning and difficult to know where to start. The self-assessment tool provides an excellent framework that breaks the huge concept down into manageable sections that you can work through and use to start to develop your polices and strategies etc. The fact that the tool is not “pass or fail” but a tool for continuous improvement is excellent. If you work through the tool and you don’t have a CSR policy then you use that as a trigger to start finding out about what CSR is and what you should be doing. Then you produce your policy and go through the tool again and move on to the next step. The self-assessment tool has really allowed us to build up our efforts piece by piece. 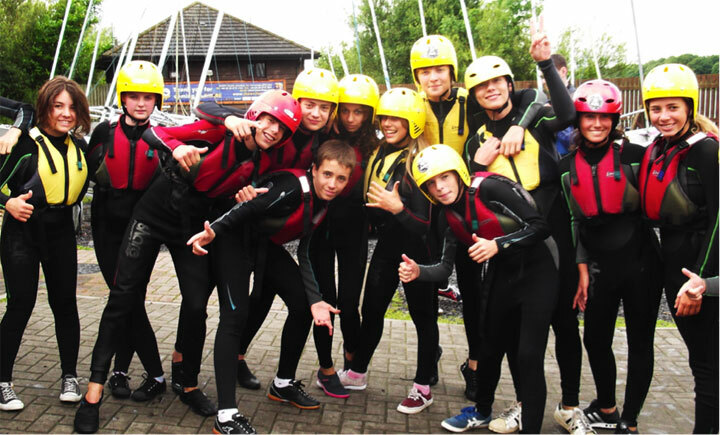 The self-assessment tool was also the motivation for us designing the Adventure Ireland Teenage Programme. ESL: Do you have any tips for language students arriving in Belfast who want to make a difference? IH Belfast: Our English and Work Placement programmes provide a bespoke placement service for each participant, working to ensure we match an individual’s skills, experience and expectations as closely as possible. The programmes combine a minimum 4 week language programme with a 10 – 16 week work placement. The courses are aimed specifically at professionals or students who want to improve their career prospects. Placements are available across all sectors but we really want to push our placement opportunities in the green sector in Belfast. Belfast is redefining itself as a green European hub with the famous Harland and Wolff shipyards now making off-shore wind and wave turbines rather than the ocean-going liners such as the Titanic. Working in the green sector in Belfast offers participants the opportunity to gain experience in one of the most innovative, cutting edge and fastest developing economies in Northern Ireland. With a growing number of companies and work placement opportunities, we can offer participants a truly valuable work experience. In previous years we have placed students in Conservation, Green Tech and Renewable Energy, Environmental Consultancy, Responsible Business Organisations, Agri- Food and Environmental Education. 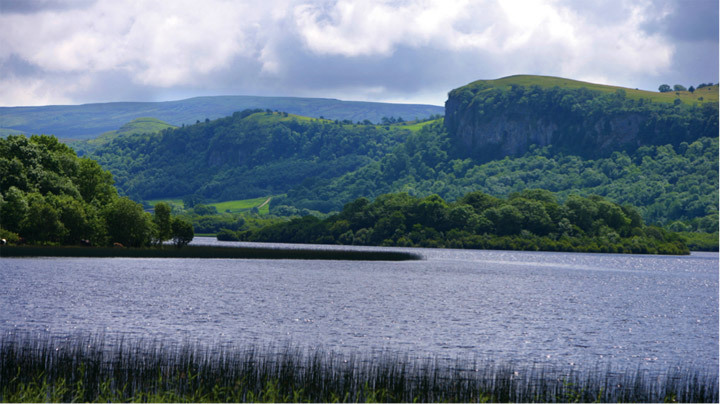 Host companies include the National Trust, Conservation Volunteers Northern Ireland, the Ulster Wildlife Trust and Environmental Design Consultants. Our students have taken up roles within areas as diverse as Habitat Restoration, Eco-Tourism, Forestry Engineering, Rural Planning and Habitat Restoration. Our placement partners offer support and assistance for the duration of the placement, keeping in contact with both the participant and the work placement provider. Interim evaluations are an important part of assuring a quality experience. Upon completion of the placement, participants will receive a certificate of participation from the host company. I would also recommend students give volunteering a go with our Volunteer Now programme. Students can have a look at what volunteering opportunities there are available and register to take part or they can go for the “Turn Up and Try Programme” for one day just as a taster. It’s a one day experience and an ideal way to see if volunteering is something you want to get more involved in. Volunteering is a great way of getting involved in the local community, meeting new people and taking on a new challenge. Belfast is a city rediscovering and regenerating itself so every single student who comes here will be a part of and contribute to the city’s progress. They will all make a difference by being here!